I’d say I’m starting this series out on an easy one, but that’s the point. 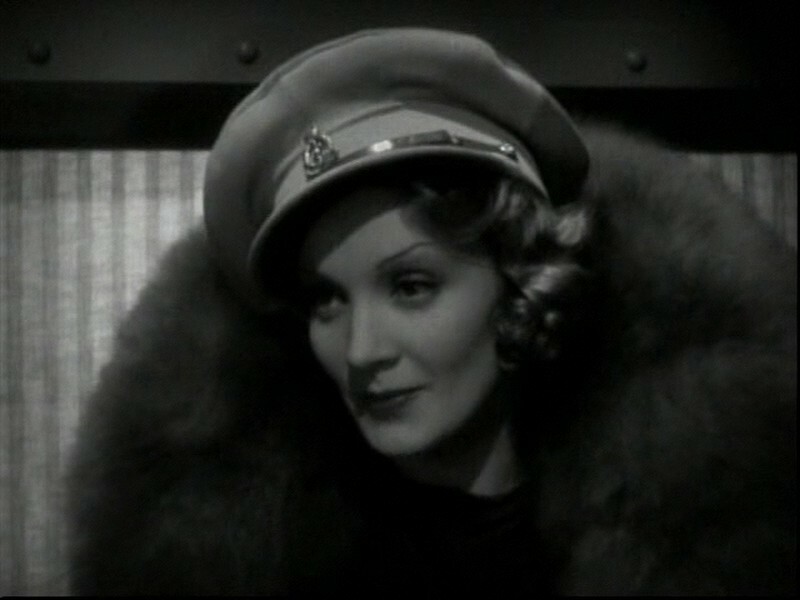 Marlene Dietrich is one of those figures who is quite clearly associated with furs. Her on screen fur wardrobe is stocked with classics. This list is not meant to be exhaustive. I’m concentrating on films I have clips from, and little else. I think it’s a bit disappointing to just write about something and not actually be able to show you. Despite the fact that this is neither fox, nor all fur, it ranks as one of my favorite fur outfits of all time. The coat in this scene is virtually all collar and cuffs, which earns big bonus points. What further heightens the power of the scene is that, with the exception of the introductory shot, you’d never know it wasn’t full fur coat. 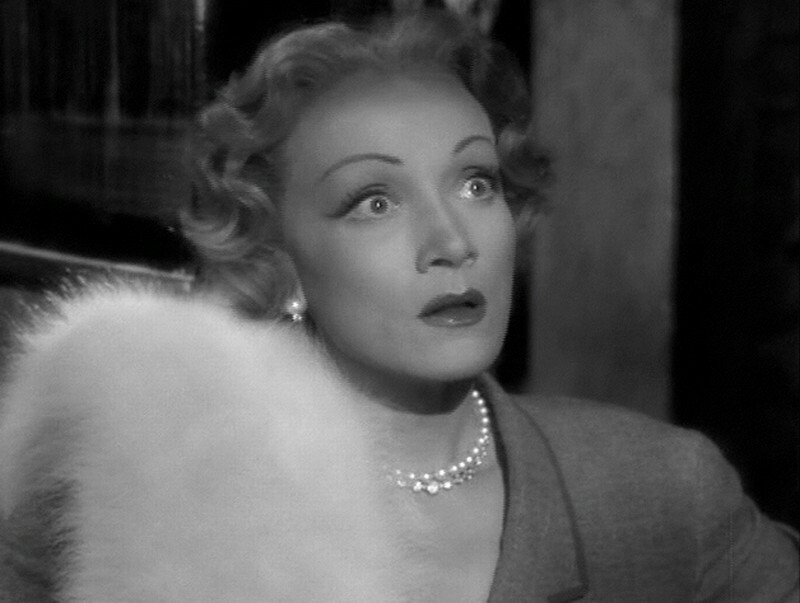 After Marlene approaches from the interior of the car, every subsequent shot of her is completely framed in fur. The massive size of the collar and cuffs of the coat make them the only parts visible in the scene. The added touch of appropriating the uniform hat of her old flame only further heightens the beauty of the shots. 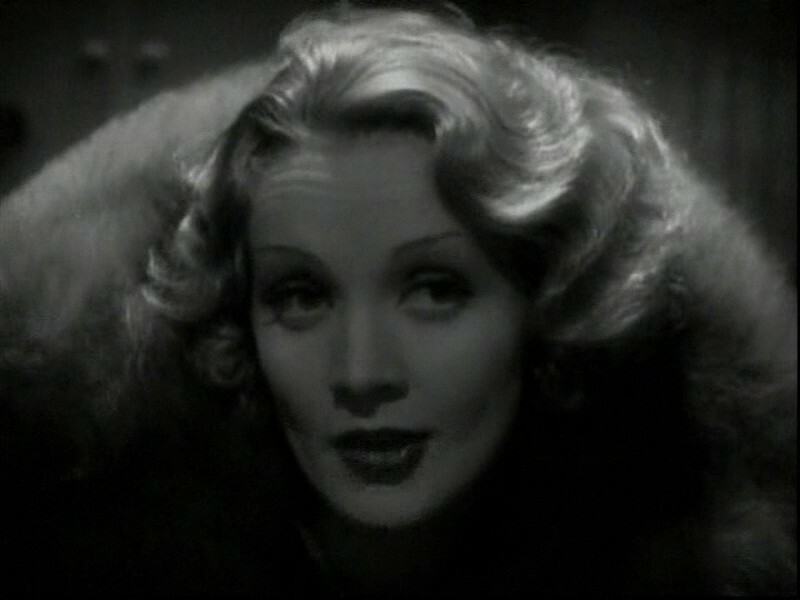 This a prime example of a scene where the cinematographer knew exactly how screamingly hot Marlene Dietrich in furs truly was. 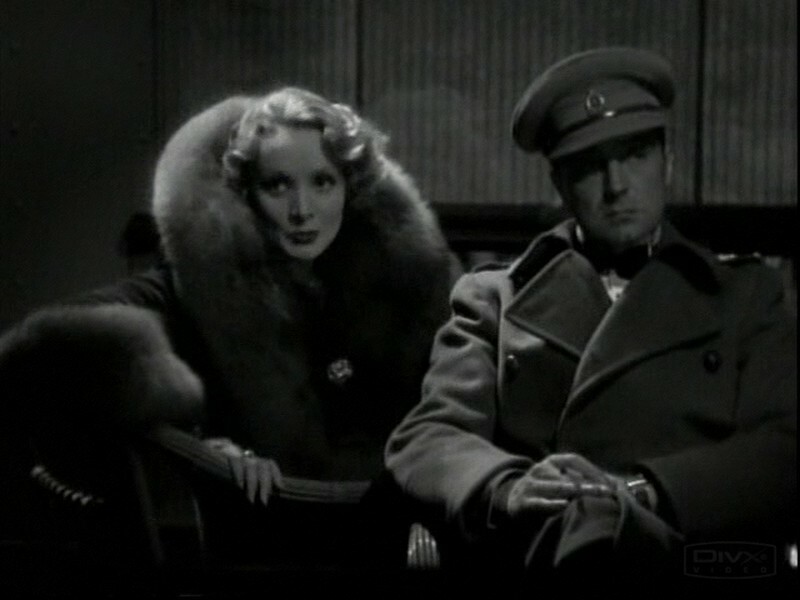 The white fox cape in Pittsburgh isn’t the only fur in the film, or even the only one Dietrich wears, but it’s the greatest. The runner up is a massive collared coat that I lack a decent still frame on. This massive white fox is an example of why I love the furs of 30’s Hollywood. This type of fox will show up a few more times in the posts like this come, trust me. The huge fox is fully framed only briefly as they approach the door to the hero’s love pad and enter. 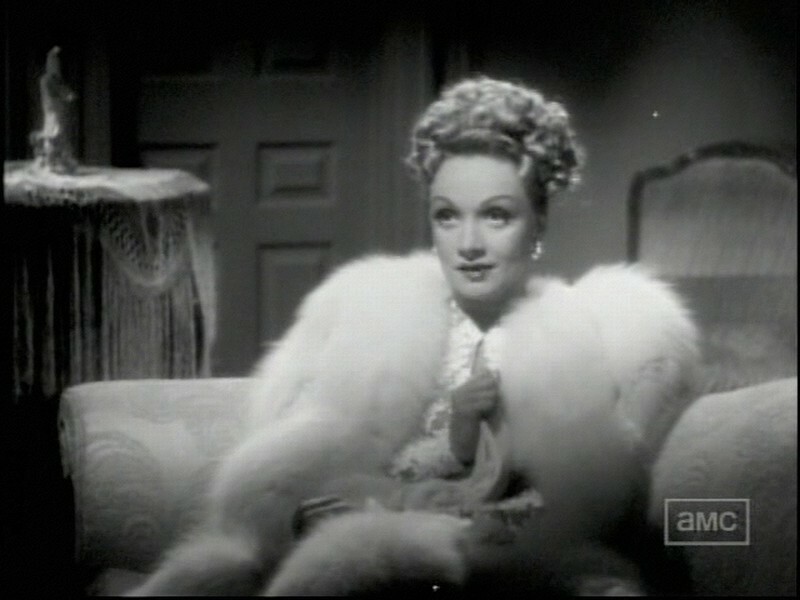 The subsequent shots still make good use of Miss Dietrich, as they refrain from pulling in too tightly, allowing us to drink in a fuller view of her shoulders and chest, both beautifully framed in the gleaming white fox. Oh, and she smokes, too. Once she makes it to the couch, the scene smoothly revolves around her lighting up, in fact. 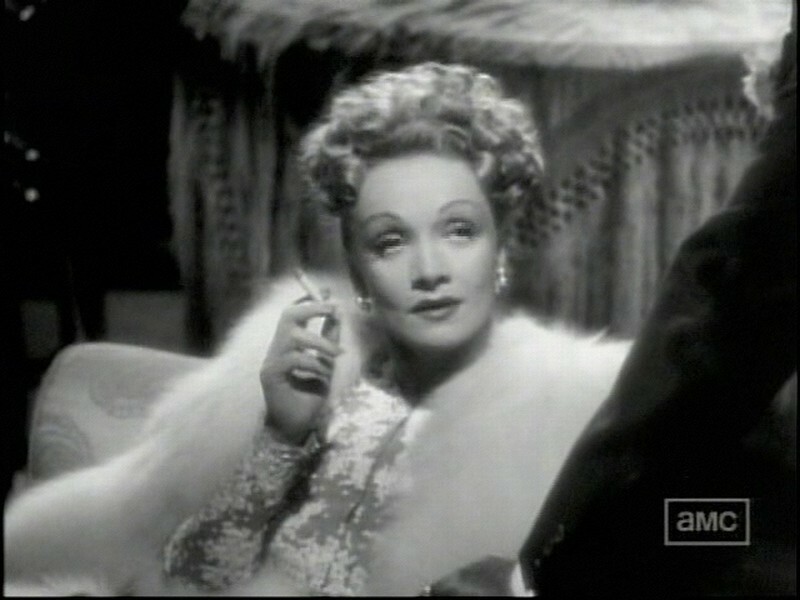 Someone apparently noticed Marlene Dietrich looks very good smoking in furs. 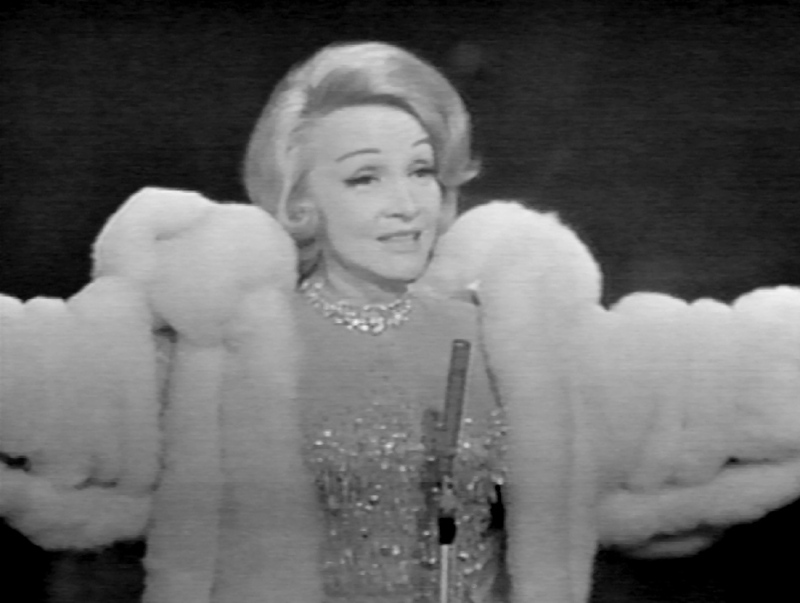 Like Pittsburgh, this much shorter sequence involves Miss Dietrich lighting up, this time with a full bodied white fox stole on her shoulder. 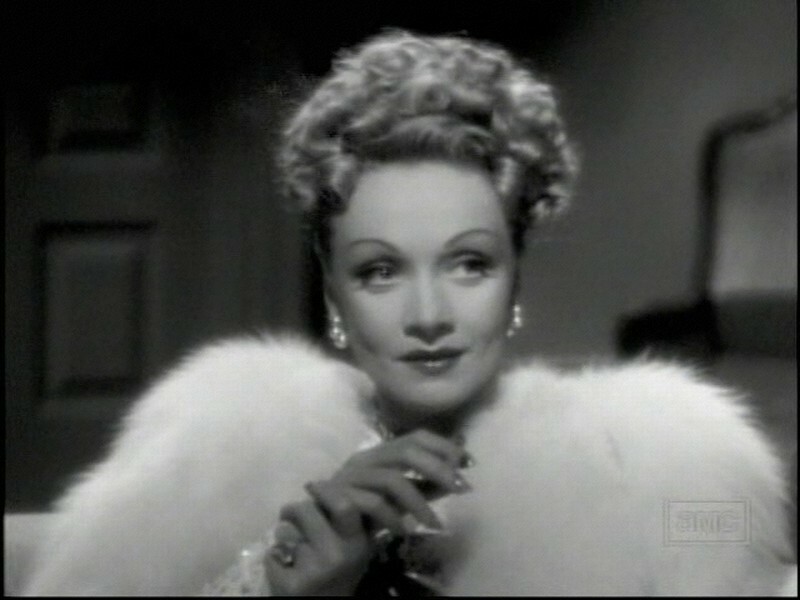 This is a slightly more “mature” Dietrich, but she wears it better than many of her contemporaries did at the time. It’s probably one of the more famous furs of all time. 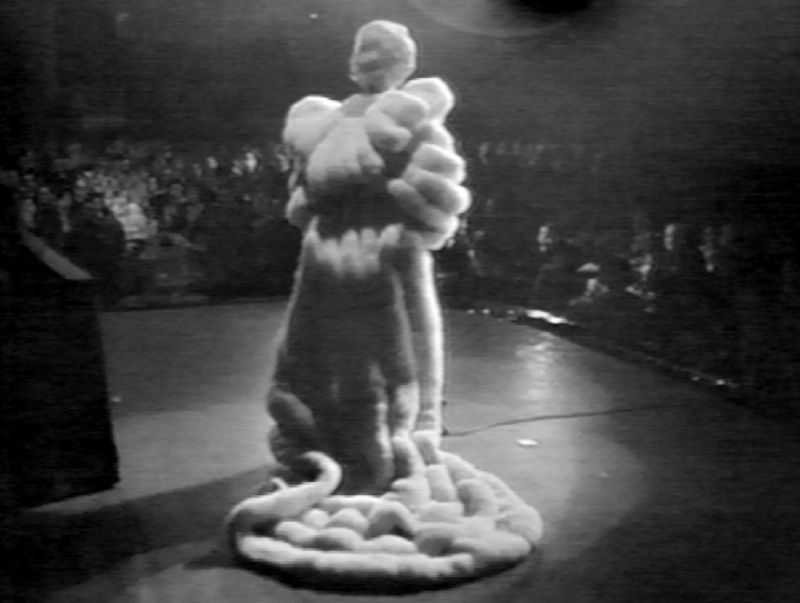 Marlene Dietrich is probably associated with furs more so because of this one mega-fur than any other reason. Compound that with the fact that shots from this concert performance are used a “B-reel” virtually any time she’s mentioned. Not that I mind. That thing is amazing. the fur coat in shanghai express and the vegas fur are not actually fur. they are the down pelts from male swans stomach areas. its the longest and softest. in shanghai it was dyed for the coat but the vegas one was pure. the vegas coat weighed many pounds btw. I do recall the Vegas coat was not fox, though I will admit that is one case where “I want to believe.” Wasn’t aware the one from Shanghai Express was similar, but no reason not to believe you. Ultimately, it still looks rather fetching. Thanks for the information.